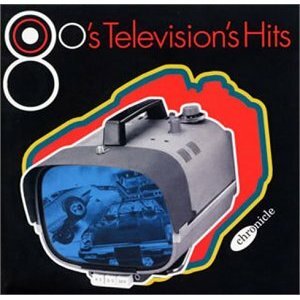 Concluding this series of Japanese television music, the 217th Soundtrack of the Week is 80's Television's Hits. The first track is the theme from Wonderful Guys. It starts with engine noises, screeching tires and car crashes. These sounds pop up throughout the instrumental theme, which is classic late '70s/early '80s TV action music with a wailing fusion guitar solo. Next is the theme song for Signpost of the Wind a relaxed, funk/disco ballad with laid back male vocals and a breezy synth sound that matches the title. After that is the music for Star Parade, song by a woman with a raw, driving blues voice. The music is inbetween "Night Train" and mid-century American rock and roll and pop. The next song is called something like "A True Sad Story" and is the theme song to a classic Japanese drama show, Sailor Suit and Machine Gun. It's about a teenage girl still in high school who, because of the rules of succession, becomes the boss of a yakuza gang. It's famous for a scene where she first uses the machine gun and then says, in a dreamy voice, "Cool". You can see that scene and hear the song in this trailer for the show. After that comes "Sunset Serenade", a gentle, almost lullaby-like song that sweels into orchestral pop grandeur for the chorus. It sounds like it might be based on Pachelbel's Canon in D. This is followed by something called "Weekend Love" which reminds me of Luther Vandross's "I'd Rather". The next song is called something "Drifting Love" and is more spoken than sung by the female vocalist until the big chorus which uses castanets. "Take Care of My Love" has a Steely Dan feel to it. 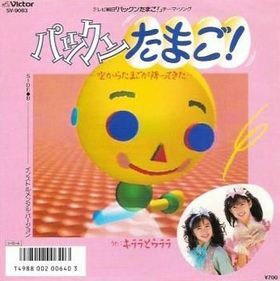 I don't know what show it was used for but singer Yasuhiro Suzuki released it as a single in 1983 and, according to Wikipedia, his blood type is B. Mizue Takada's "Looking for True Love", the next song on the CD, also came out as a single in 1983. She has a pognant, breathy voice. You can hear it here. The next song, delivered by a raspy-voiced male vocalist, is called "Human Camel" and is apparently the theme to a teen drama called something like Scattered Youth. Things get upbeat again with this, which Google translates as "Swimming Crazy Ship". The next piece, "Nostradamus Private School Song", begins with church organ and a hymn-like vocal chorus before exploding into a goofy, uptempo piece sung by none other that Beat Takeshi, a.k.a. Takeshi Kitano! The next song, which is called something like "Please Don't Be Shy", is a nice, melodic piece with limpid female vocals. After that comes "Show Me", whose '80s dance fever assault will knock you out of your chair after the delicate mood of "Please Don't Be Shy" (or whatever it's called). "Hide and Seek with the Wind" is a gentle melody given a childlike, innocent vocal delivery. Then there's a tango-like song called "Windmill of Love" and, finally, "Lullaby of the Virgin", a wistful, romantic song.